Today more than 74 million sites are proudly powered by WordPress and rising number of plugins boost WordPress as an ever growing platform. There are more than 29,000 WordPress plugins available today and new plugin gets added almost at every hours. Over the period of time, a huge increase in the number of inquires have been seen for WordPress eCommerce websites. 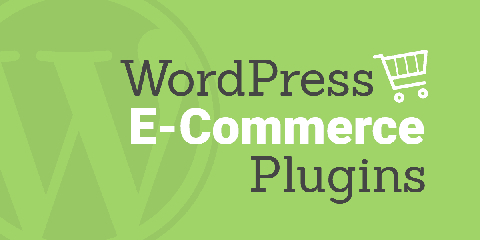 There are abundance WordPress eCommerce plugins accessible in marketplace. However, among all, few of them have essential features that you would need to start your eCommerce website. In the market, there are many type of eCommerce plugins are available. For instance, few eCommerce plugins are good for selling digital goods like eBooks, photos, music, etc. On other hand, some of these plugins are better suited for selling physical goods that essential to the shipping and stock management. However, some of are good for both the types. You require to choose a plugin that depends on what you will be selling and what kind of features you would need to expeditiously drive your online store. Before you make any purchase related to eCommerce plugins, have look at the following factors to consider while choosing a WordPress eCommerce plugins. When you are buying numerous types of plugin, it has different solutions and different costs. As, few plugins will cost a single time fee and some plugins have an annual license that must be renewed year by year. Other online shopping carts will charge a fee based on a percentage of the deal. So it is better to know your budget your desire. There are many plugins available that will automatically adjust to the mobile devices like iPhones and iPads. However, responsive web design is a web design approach that provides best viewing across a broad range of devices. After installation of plugins, you will need to update them and also apply changes that come with latest Upgradation. During this process, new products will be added and old products removed and their prices will change, too. However, you have to make sure that you would have a solution that is very easy to use that provides an action to make ongoing updates without the requirement of a programmer. A badly built product classification can be hard to deal with you and your potential buyers. Thus, it is better to make sure about the product categories, tags, product presentation that match the look and flow according to your requirement. How would you reach to your customers? To reach maximum numbers of the customers, you need to enhance your website’s visibility in search engine result pages. Make sure that your selected solution allows you to optimize your store with proper product title and descriptions. You should study the compatibility of your product offering with your selected software. Not all plugins support digital downloads, or affiliate links or other such offerings pretty well. Take out a chance and review this before settling on one plugin. How would you decide product prices? Do you need to set the volume of purchase? To answer all of these questions, WordPress undoubtedly has come a long way, but still a lot more is to be achieved. There are not many WordPress plugins which can support to your website. What type of payment system work for you? As, WordPress plugins perform well when it comes to universal payment modes like PayPal and credit card. So, if you want to make it global and you are looking to have wire transfers, net 30 and others, you might not be left with a lot of options. An eCommerce website has two ways to initiate returns and refunds. You can ask your customer to initiate return directly from their user account. This most likely would need to be managed by you, and in most of the cases, this is outside the reach of basic plugins. It is one of the difficult components. Initially, you need to choose a WordPress plugin which is big enough to handle tangled requirements and calculations. Thankful to digitization, nowadays, you can find several WordPress plugins that have the ability to differentiate between services and products and also between state, country and the respective tax laws. To conclude, it is all about the requirements and your business needs. Being an individual, you just need to find out the most suitable match that meets with your requirements. You should always choose a plugin which matches more than half of your requirements. As you are fresher, it is advisable to avoid random pick of solutions. As it would be hinder your productivity. As it is one of the most important tasks in WordPress development. By considering this writing, you may find the best WordPress eCommerce plugins for your site. Daniel Clark is the marketing strategist at Kodematix, a wordpress development company. He really likes to shares his views and knowledge about Website marketing as here in this post he acknowledges us some of the best methods to be implemented on website to make it more trustworthy. This entry was posted on Thursday, May 31st, 2018 at 8:24 pm. You can follow any responses to this entry through the RSS 2.0 feed. You can leave a response, or trackback from your own site. How to Choose Right Social Media Platforms for Business Branding?